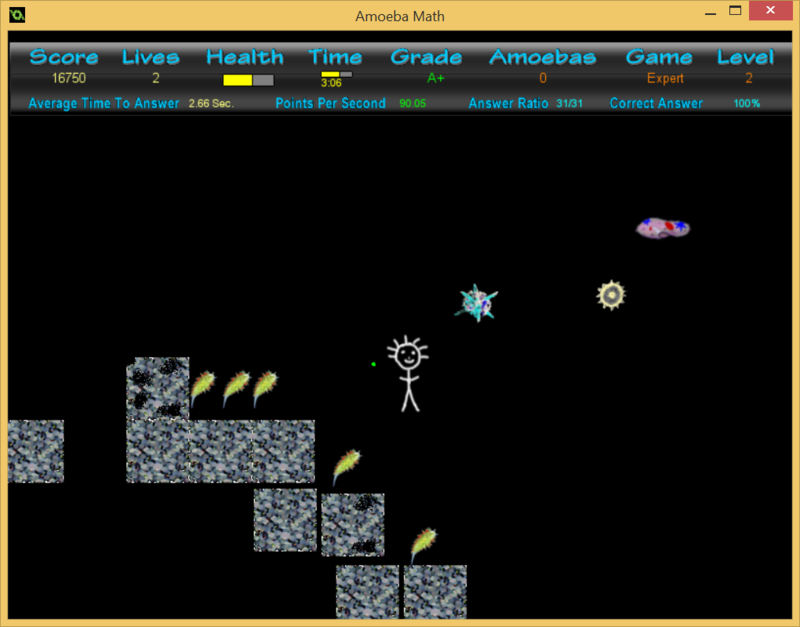 Amoeba Math is a self-paced online game for learners of all levels of mathematics. 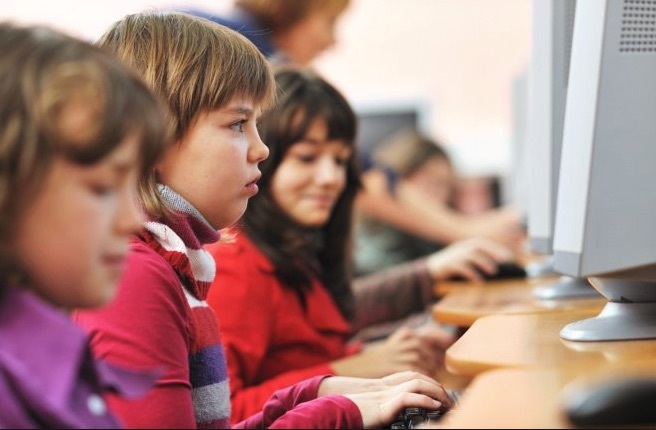 It uses new evidence on the best ways to approach and learn math effectively. Delivers real proven results fast for people of all ages. Repeat sessions until you are ready to move to the next level. 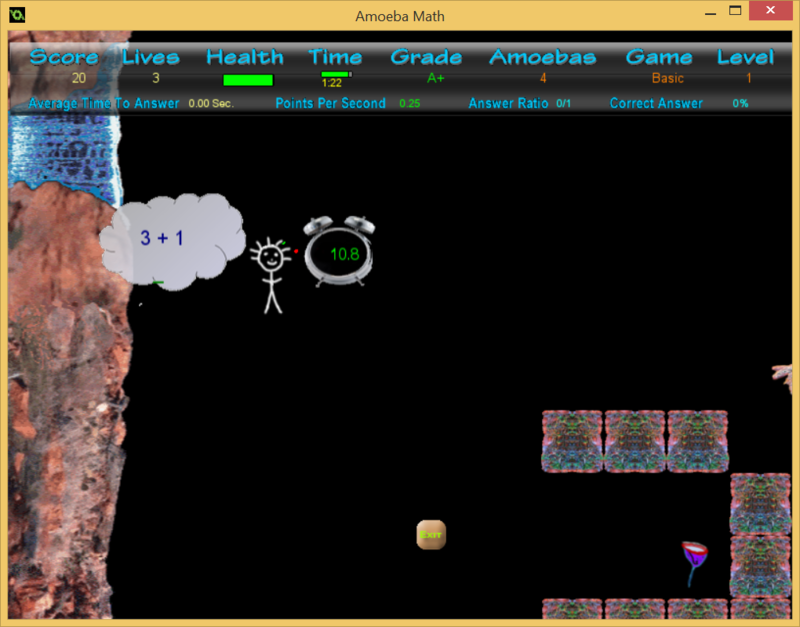 Play the game and before you know it, you are learning math. Learn how to reason and make connections in math. Uses best practices for learning math that are proven to work. 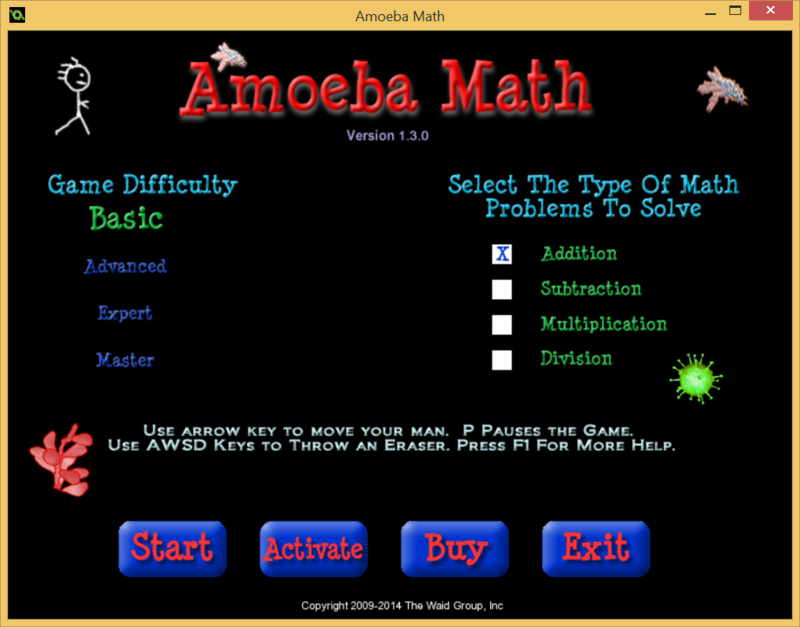 Designed for everyone to learn math, including the disabled! 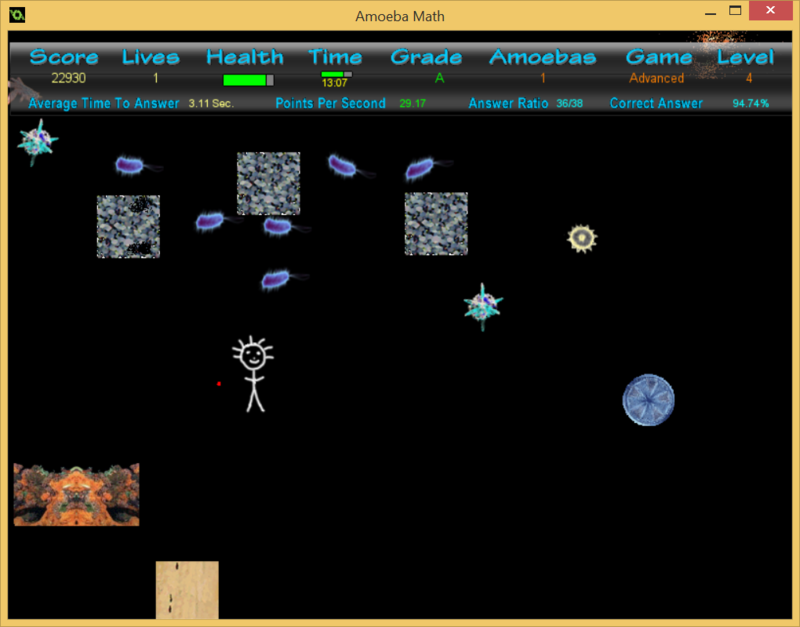 Amoeba Math is a fast paced, action packed video game that helps your child master their basic math facts and beyond. 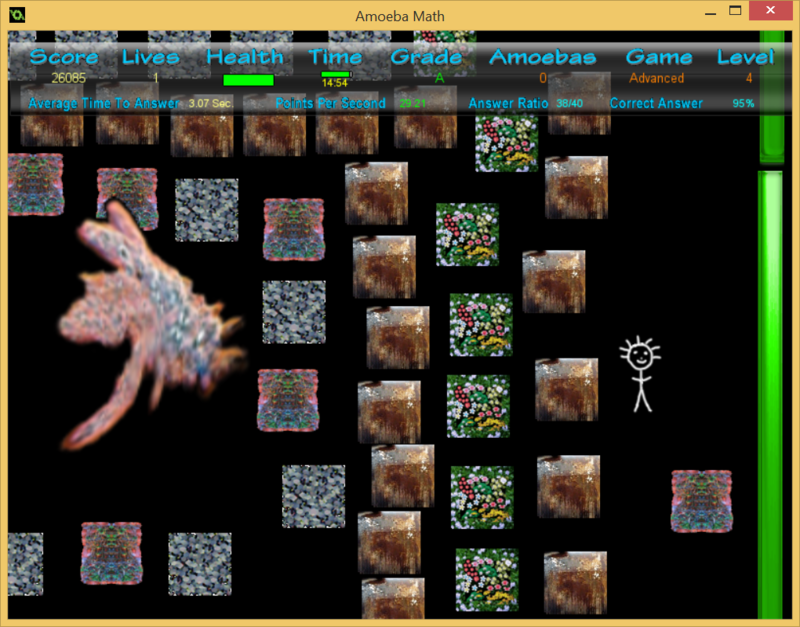 Soon your child will work 40 to 60 math facts problems in 15 minutes. 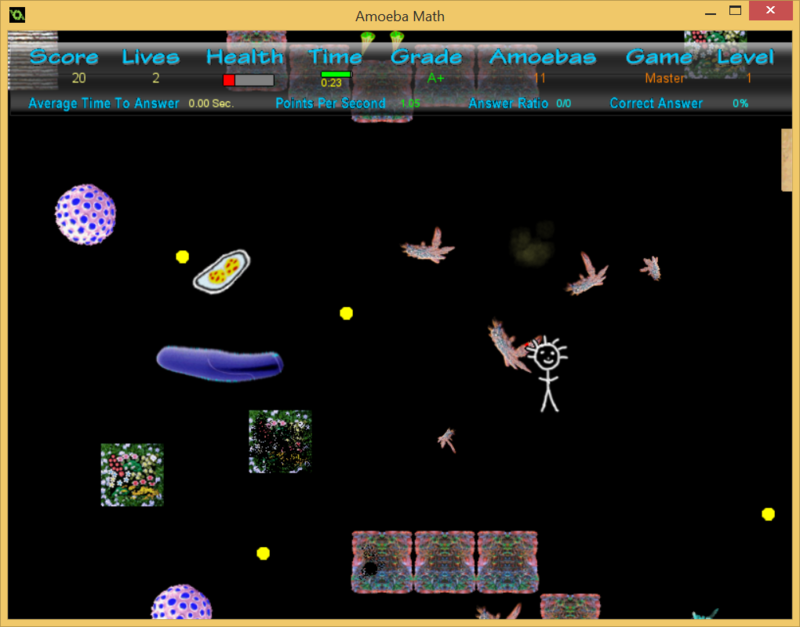 "I have recommended the game to friends and I highly recommend you give it a try and see if your kids don't just love it." We specialize in the development of games that give physical realizations of abstract concepts coupled with online instructional tutorials. We believe that pre-adolescence is the time for children to learn the language of mathematics – at the same time they are learning their native tongue. It is very likely that a child's brain will re-wire itself for math much like it does when they learn to read and write. Or when the child learns to perform on the stage.